Hi everyone......Can you believe that 2016 is just a few days away? I hope you had a fabulous Christmas, I know I did! I will share some pictures at the end of this post. Fair warning...this post will have lots of pictures! Okay....lets start with something super exciting for me.....I think most of you know I have a few patterns here on my blog that are free. Well one lady made my Toe Up Double Gusset On the Bottom Sock pattern and she tagged me on Instagram! I know, that is probably not very exiting for you, but it is super exciting for me. 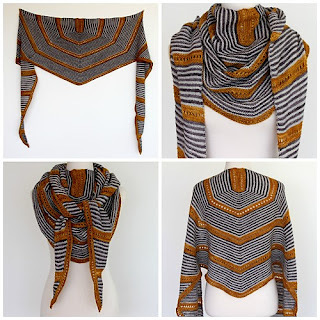 That pattern has had almost 7,000 hits and there are 62 projects....so for little ole me...that is a pretty big deal! 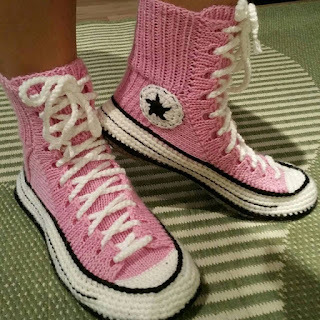 Okay, on to the knitting.....let me start with stash enhancements...I got the yarn for the Converse socks/slippers I am going to make my aunt that I told you about last week...now from the black and white, only 1/2 the skein is mine because I am splitting them with Darlene. Then, one of my LYS was having a sale before inventory and my friend was going there...she picked me up a skein of black sock yarn by Vice....it is their Paradigm and it is 150 grams and 500 yards....I am always wearing black, so I can always use this as a contrast in socks or in a shawl or anything! It was $21.88 on sale from $31.25 but there was another percentage off and it came out to $15....you cannot beat that! I also got a rock....Yup, a rock. The same lady that crocheted the hippos for me and Darlene showed me a picture of this smooth rock that she crocheted around...I loved it, so I bought it from her...it will be a paperweight in my office....I really love it! Lastly, I got this awesome cowl/wrap from a great friend in Indiana...it has the cutest Dachshunds on it...her name is Shawna aka KNIT4BEER....Darlene, Shawna and I are like the 3 crazy Musketeers....so like the 3 stooges! Thank you Shawna! I finished the socks for my niece! Then, I worked on Chris' socks....now these socks started because of a pair of black socks I made like this for Paige....now that I am making the grey for Chris.....Paige says now she wants a pair in grey too....so I will start another pair soon...not sure when as I have lots going on...but soon. 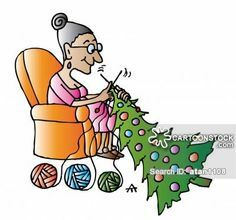 I think that is it on the knitting front....I have lots going on and I know I will be casting on lots in the new year. 5. the grey socks for Paige. I think 2016 will be a big sock year for me! 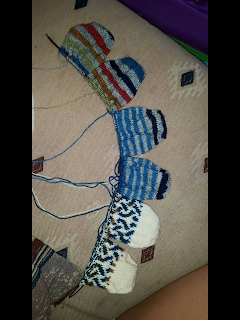 Speaking of socks....I wanted to share a picture of my sister's socks....meaning my sister is knitting these socks! I knitted the toes for her, but you can see she has almost one one stripe on her own. Now that we are saying good bye to 2015, I wanted to check on my goals....all in all, I pretty much sucked at meeting my goals, but as my MAIN goal for 2015...I met it. The goal was to knit more than I did in 2014 and I did that. 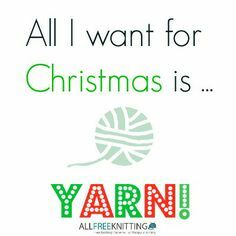 I knit 10.1 miles in 2014 and I have already knit 11.2 miles this year and that does not count Chris's socks or the yardage I have done on the Doodler (that I still want to finish).....so my goal for 2016 will be the same...to knit more than 2015...we will see if I can do it! Okay.....Here is your picture overload from the holidays! I did not get to see Alexxis or Baby Mario, but I saw the other grand kids! Antonio spent the night with me Wednesday evening...and I woke up to him telling me he loved me....so sweet! 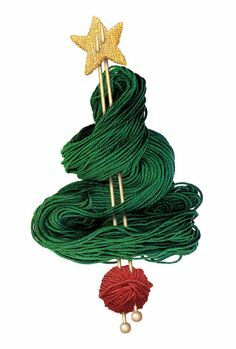 Happy New Year and Happy Happy Knitting Everyone! Good Morning everyone...just a few more days till Christmas! I am not done with everything, but I am super excited about Christmas. 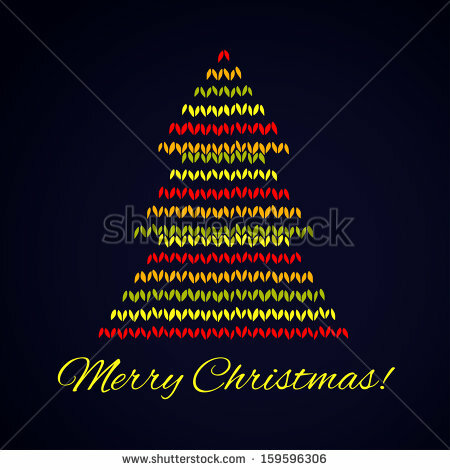 I hope you all have a very happy and blessed Christmas! My little knitting group had a small gift exchange, and a day or two later, Darlene and I exchanged our gift to each other last week (she is so awesome) and I got some awesome knitting stash enhancements! I do not have pictures of everything I got from the gals (some of it, I started using right away)..I got some goat milk soap along with goat milk lotion in grapefruit scent, a cute "I love my Chihuahua" night light, a hand made ornament that is a longhorn bag with knitting coming out of it, a bottle of wine, a lanyard to hold my badge at work that is made out of sheep material, and a medium Bags by Awesomegrannie bag. I am not sure if you remember my very first ever bag that Darlene made that was a wedge with a zipper? I thought it was Christmas of 2013, but it was near my birthday of 2014....I talked about it here. Well, she made me a medium bag with the same material!!! For mine and Darlene's gift exchange, she took it to the next level and made me a big bag of the owl material.....I am just speechless because it is so awesome! She also got me a new Graces cases to hold my needles...it will be made with the owl material and the sheep material (from my other big bag) so I can carry it with either bag and it will match...it is not here yet, but I know I will love it! She also got me a little pouch to hold my phones at the new building we are in. Thank you Darlene! For her Christmas present I decided to knit her something and also get her some Madeline Tosh yarn so we can make a shawl together. I knit Silenzioso for her out of a Wollmeise Lace in Green.....Now, I have been knitting this since September and I was wondering if any of my readers would notice that I had slowed down considerably in my knitting (because I could not talk about knitting on this)? Turns out, I fooled you all! Here is the finished shawl (ravelry page with in progress pics).....and she loved it! I also got another package from the HiyaHiya Scarf swap...this package is from Diane in Kansas...this yarn is so "HAPPY"! I also went to Comfort with Jaime this past weekend to get some deer meat that was done being processed from the Meat Market.....Well, when in Comfort, you have to stop at Tinsmith's Wife. The last time I was there, I got this bottle of Wrapture soap to soak hand knits in. Well, I used this soap to soak Darlene's wrap in and she LOVED the smell...and I LOVE the smell too. So, I stopped and got her a bottle and a couple more for me. Now, for Christmas my niece is getting these socks, but she is also getting a 'sock making kit' from me. I got her a Bags by Awesomegrannie Bag with matching notions and needle holders, a sock ruler, a set of addi sock rocket needles and some knit picks felici self striping yarn. I started the toes for her so all she has to do is knit in the round for a while (you can barely see them sticking out of the needle holders). Now to tell you about my soon to be next project....converse socks/slippers. I was tagged on FB by a couple of friends with these cute Converse style socks/slippers. Well, my sweet Aunt Irene from Canada saw them and wants a pair. So I ordered the yarn for it and it should be here this week. 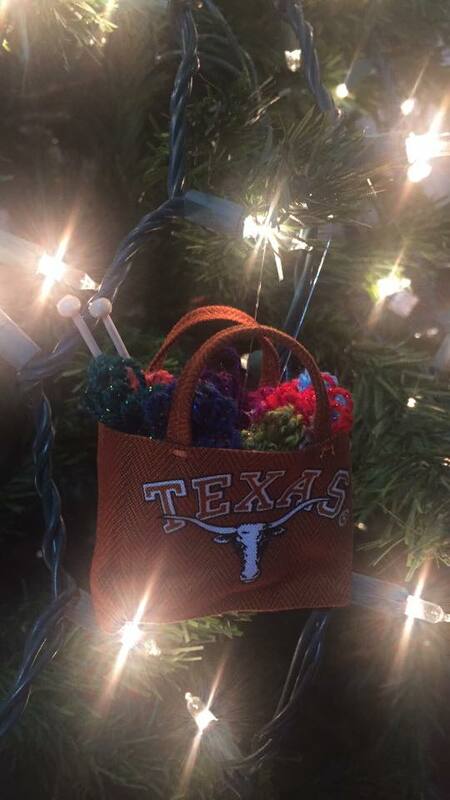 I still have 2 or 3 things to finish before I start, but I will be making them soon.....Oh, and Darlene will be joining me as she thinks her oldest granddaughter will love them! WHEW....that is it! I leave you with the cutest kid in the world (yes, it is Antonio) and his first ever gingerbread house! I am so proud of him! Well, I am sure you guys do not need the countdown.....but only ELEVEN days left till Christmas. I am still not ready...ARGH! I did get the tree up and decorated....and my daughter gave me an awesome candle, so I lit it and got to enjoy the wonderful "Frosted Cranberry" scent while I knitted on Sunday (It is hard to photograph a burning candle). Saturday was spent cleaning and putting up the tree. Then, I got three more packages from the HiyaHiya New Product Swap...thank you to Chappy, Wendi and Susan! The ornament is already on my tree and that bracelet can hold stitch markers!! I got the most awesome early Christmas gift from Darlene....a new bag set that I LOVE! It has deer wearing knitted items and the trees are yarn bombed...How cool is that! Plus my iPad Pro....this thing has a pretty big screen....I have not decided if I love it or hate it. It is heavy, but I love the clarity of the big screen. Now for the knitting.....pretty much all I knit on were the mitts for Shyla and I finished them. Now, this yarn is NEON, but not quite as neon as the pictures are....it was very hard to photograph this yarn. I also started Chris' socks....in the awesome bag from Darlene. Well, I tried. I really did. 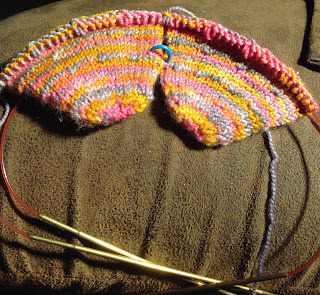 I have the 3 pair toe up socks on my really long needles & I have tried to knit them all. I find it very ‘fiddly’ and more trouble than it’s worth. I’m going to take them off & put them back on 3 pair of double circs like I’m used to knitting. Good news is, I have the beginnings of 3 new pair of socks!!! And the really good news is – I don’t feel like a failure because I didn’t do it. I *could* do it. I just didn’t *like* doing it. And that’s what knitting is all about for me. The joy of doing something creative that relaxes me. Three pair at a time was work, not relaxation or joy. I just thought this was the most wonderful way to look at it!!!! So remember to always try at least once....and with that, I leave you with some wonderful sayings and pictures of my grandsons.....my youngest grandson, Mario Ramirez III turned 1 this past week....Happy Birthday Mario! 18 days left.....are you ready?